I’ve been in the merry city of Dublin all of last week. The purpose of my trip was for work from Monday to Friday, and we then stayed on for the weekend afterwards to enjoy the infamous St Patrick’s Day Celebrations in the Irish capital. 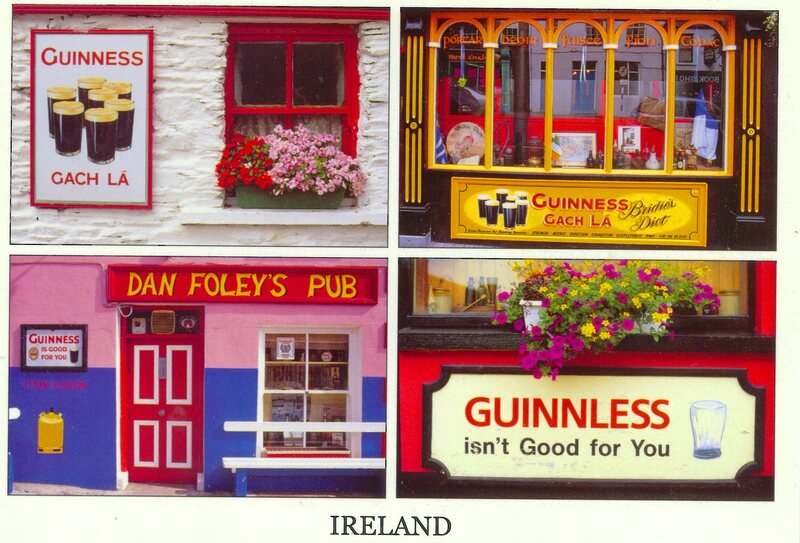 The Irish are renowned for their drinking culture and although I myself am not partial to a pint of Guinness, everyone else had more than their fair share of the stuff. Beholding Irish people on Paddy’s weekend is truly a sight to behold, and apparently 48% of Irish men binge drink at least once a week – the highest in the world according to this article. The average Irishman drinks 131 litres of beer per year – and that excludes all other types of alcohol. That’s the average – including men and women of all ages! (We Brits can hardly talk – England comes third in the list with 99 litres of beer per year). I’ll write a full post about my trip to Dublin later this week, but I’m pleased to be able to say I’ve spent St Patrick’s Day in Ireland – I enjoyed myself immensely! For those who do like Guinness, and like it so much that they want to see it being made, the Guinness Storehouse in Dublin takes you through the history of the drink with a pint included for €15. I’m half Irish to by nature love most things even remotely relating back to Ireland. Bet that was a rowdy celebration?! It was! Temple Bar was absolutely heaving, was a fascinating sight! Funny you post this as I’m off to Dublin soon! Any good tips? Ooh enjoy! I’d advise you to avoid Temple Bar (or at least go through it to have a look, but then find somewhere less touristy) and instead ask a local where to go to find a real Irish Pub that isn’t full of foreigners. The Irish are lovely people and so if you can find one then stick to them! The restaurants and nightlife in Dublin is amazing.. you will not stop ones you enter the temple bar area… Good Irish music.. live band and whats more ! The food and cuisines are limitless.. you name and the recipe from India to turkey.. morocco to Chinese.. everything is closely available.. that to be quite value for money! I visited Punjabi by nature.. Indian authentic restaurant …. good experience.. Toscana and couple of other Mongolian restaurants. Enjoyed your post very much. Very informative, loved the picks too!